First, the all-important source versus target word count. If you do one thing related to word count, make sure that you establish in advance whether you’re billing based on the source or the target word count. Why? Because those word counts can differ radically: Romance languages use approximately 30% more words than English to express the same idea. Character-based languages might use one character to express an entire thought. So, agree on which word count will be the billable word count. Billing based on the source word count is appealing–if the source document is countable (i.e. MS Word file), you can tell the client exactly how much the translation will cost before you start working. However, some source documents (i.e. locked PDFs) doggedly resist being counted, in which case you must either bill on the (unknown) target word count or bill based on some other factor such as number of pages or estimated number of hours. Let’s say that the source document is countable. You’ll need to decide how to count it. Again–stop me if this is starting to sound familiar–the word count will vary depending on the counting tool you use. You can use MS Word, either by choosing File>Properties>Statistics, or Tools>Word Count. But, as described in this amusing post on Language Log, some text elements such as footnotes and endnotes are omitted by default from the MS Word count. You can use the word count generated by your TM tool if you use one, with the caveat that every tool’s count will be different. You can use a dedicated word counting tool such as PractiCount, AnyCount, Count Anything or Complete Word Count. If you are billing by the line, as is common in Germany and Switzerland, you normally take the document’s character count and divide by 55. Note that although MS Word has a line count statistic, it wildly different from the number you’ll get using the characters/55 method. Clients, especially if they are not experienced translation buyers, may ask all sorts of word count-related questions. A few that I’ve fielded: When translating from a PDF, do you charge to retype English text that is already in the source document? (Yes; or the client can have one of their administrative staff retype it). Do you charge for proper names, numbers, etc? (Yes; the entire word count of the document is billable). And possibly my favorite: Do you charge for the little words? (Only if you want them translated). Moral of the story: translators have all kinds of crazy word count stories. Clients who want a discount of $1.19 because of an explanatory note that the translator inserted; clients who want the translator to manually count the words in a PDF (12,432…12,433), and on and on. Clients who quibble over these types of issues are not the kinds of clients you want to work with. It’s fine to settle on the source or the target word count and on a reasonable method of counting the words–for example the MS Word count or the TM tool count. But beyond that, you start to feel that the client would rather lose you as an intellectual service provider than pay the $1.19…and then it’s time to start marketing for better clients! These are all good tips. My basic philosophy on word count discrepancies is that it all comes out even in the end – and we all know that one word can be more work than 50 sometimes. Asking if you charge to retype English text is a valid question (and telling that they can have their administrative staff do it if they don’t want to pay for it is a valid answer), but I can’t believe that people actually ask you if you charge for “the little words”! How ridiculous is that?! Ridiculous cheapskates to ask a question like that. (I hear the sound of one hand clapping). It’s not all that mysterious. 2 to 2.5 Japanese characters are on average one English words, and it is similar also with Chinese. A lot depends also on the subject, for instance translation of a chemical patent in Japanese will have fewer English words because chemical terms are transcribed into English with a Japanese alphabet called katakana instead of with Chinese characters (and alphabet characters take up more space than Chinese characters). I don’t think the ratio is as high as 30%. I have been translating French patents for the last two month or so and because these translations are for filing, I am always given a file in French in MS Word. There are usually about 100 more words in my English translation with an average French file size of about 6 thousand words. Any thoughts on why the word count is higher in French than in English? Couldn’t say for French, specifically, but it is often true that we speakers of Romance languages tend to be more verbose. Sometimes ludicrously so. This is something I found recently in a translation I was editing: “say nothing about” (3 w., 17 ch. ), translated as “non comunicano alcuna informazione utile relativamente alla” (7 w, 59 ch.). Why ask that question? If you’ve already translated Fr.> Engl. or the reverse then you should already know, unless your translations are not up-to-par. Romance languages(1) are wordier than Germanic languages(2) (including English) because (2) can do away with many prepositions due to their compound-word elasticity. Additionally English doesn’t need the word “the” nearly as much as (1) do. Finally, in English in particular, and I suspect in (2) , generally speaking, the vocabulary is infinitely richer. More available words to convey various thoughts eliminates the need to build longer sentences to convey the same thought. Think of this: a wrench is more efficient to loosen a tight bolt than a screwdriver combined with a hammer … and is apt to cause much less damage into the bargain. Because the French vocabulary is smaller than English, and it takes a combination of more French words to express the same idea. Also, the manner of expression is less flexible, as in: “My aunt’s dog” compared to “Le chien de ma tante/The dog of my aunt” (French translated word for word). Please note that if your locked PDF file is text-based, you can still use this nice little word counting utility called abracadabraCompteur that adds a document or page counting menu option to Adobe Reader to count the number of words even in locked PDFs. It is very easy to install and use (instructions in English and French – it is a French utility – are provided), and you get your word count very quickly after opening the PDF file in Adobe Reader. Please note however that the number of counted words is always higher than when counting from within MS Word. Word count in Romance languages is higher than in Germanic ones because the former ones use articles more frequently. In addition to this, some Germanic languages tend to cluster words and most prefer a concise writing style as opposite to Spanish and other Romance languages where writing style tends to be more verbose. I’d say planning for a 10-15% length difference is enough when translating from Spanish or French into or from English. I doubt that this is the case. I only translate from French, but I think that although there are different rules for how articles are used in French, German and English, the frequency is about the same. I tried to Google your proposed explanation but could not find anything. Your second point could be valid, although it would be difficult to prove. German of course has a lower word count than English because it has many compound nouns, but I don’t know the reason for the somewhat higher word count in French compared to English, unless it is the fact that they use a space in front of a colon or semicolon, which makes every colon, etc., count as an additional word. You have to love the French for that. Another thing that they’re doing right! I don’t know about German, since I don’t translate from it, but I do translate from French to English (and have spoken French for over 30 years) and it is well-established that French is more “wordy” than English. It is also common that when one translates from French to English, the word count goes down (and not just for me), and vice versa (goes up into French). Also, if you have ever worked on software projects where the translations are from English INTO German or French, you will know that the length of the text (number of characters/length of words AND number of words) increases in those languages, causing real issues for US programmers who have not taken this aspect of localization into account. This certainly is not just related to spaces in front of colons or semi-colons. Search “text expansion” in Google and you will find a lot of info. I agree that French is generally more “wordy” than English, although that would obviously heavily depend on the subject and on the writer. Camus was not very wordy, and neither was Hemingway. Goethe was quite wordy, and so was Nietzsche. Kafka was not. I was hoping for a concrete explanation of the reasons for why the word count seems to be consistently higher in French, with examples. I understand why some languages have a lower word count (German) and some have a higher word count (Slavic languages) than English based on the structure of these languages. I also mentioned some of those reasons on my blog. But I don’t know how exactly it works in French. I Googled “text” expansion and “text” expansion, but all I got was bunch of fake corporate blogs of translation agencies. I meant that I Googled “text expansion” and “text expansion in French”. (It’s early in the morning and I need my second cup of coffee). Romance languages are wordier than anglo-germanic and that is a fact. i believe that maybe 10-15% is about right. I think that it is due in some cases because of the sheer length of the words, and also – primarily, to my mind – because of their intrinsic nature, more adjectival and wordier. Take for instance: (I am comparing with Spanish): fact = hecho; longer = más largo; thinner = más fino (or:) más delgado; and so on and so forth, I don’t intend to go into an in-depth analysis, just give you a general idea. Veuillez recevoir mes meilleurs voeux, Monsieur”, which is 6 words. In German it would be usually only 3 words (Mit freundlichen grüßen), 3 words would suffice also in Czech (Se srdecnym pozdravem) and in Japanese (Yoroshiku o-negai itashimasu), which can be also shortened to 1 word among friends (Yoroshiku). So when a customer wants me to charge for a translation from French based on the source word count, I have no problem with that. I should have mentioned this: It’s been my experience in over thirty-five years of translating and interpreting (and being bilingual since the age of 6) – in both directions – that, at least in technical texts, but not exclusively in them, French can be anywhere between 20% and 30% wordier than English, depending on the subject, specific requirements, etc. Now, since, as every language does, French has its own collection of handy expressions, proverbs, shortcuts and what-nots that are barely reproducible in other languages, these will lead to more economy than in other languages in certain cases. That, however does not change the overall pattern. It is true that writers in any language use brevity or not, according to their tastes and styles (or copmpetence). Take Hemingway vs. Henry James, for instance, or Camus vs. Balzac. Even within Camus you’ll find, on the one hand “La peste” and “L’étranger” and on the other “Le mythe de Sisyphe” or “La chute” – a study in contrasting styles. I wonder how translators of all of those authors dealt with their fees and billing. Another concern would be, how would any word-count program treat those interminable German compound-words, which are on an altogether different scale than their English cousins? Wouldn’t it be fair to divide each of those into three or four distinct words? One more thought: how many native English-speakers appreciate how the English use of gerunds, “-ing” (inherited from the German -ung), and its thousands of applications have contributed to the economy of the language? This precious little technique is unknown in Romance languages – so much so that THEY commonly adopt that trick themselves, wholesale. It’s funny, English is the modern Latin – being a lingua-franca. Both tend toward economy; perhaps that (and power) explains their universal adoption. You see, you’re already providing answers to your own questions – keep at it! To count or not to count, that is the question. My lawyer said 8 words and the plaintiff withdrew his case on spot. What would I pay the lawyer? You may guess. Do I count his words? Certainly not. Counting words or characters makes sense only for the cost calculation. If the client works with a certain budget, 8 words could be paid more than 1000 words, because a picture can say something more than thousand words. That was the case with my lawyer. And I would certainly work as he did. Unfortunately, most translator don’t and I have done it only in some cases. I had to sort this out for a high-end client recently, and it’s really surprising to see how many people think this stuff really is secure. If I can see it, trust me – I can break it if I have to. When I translate patents for filing, I often have to translate also text contained in PDF figures at the end of the file. Sometime I can just overwrite the text in Japanese or German or French, for example when I recreate a flowchart in English, but sometime I can’t do that and I don’t know why. These are usually not locked files, I think, because I ran one of them through the PDFUnlock you mentioned in your comment and I got the message that the file is not locked. But if it is not locked, why can’t I overwrite the French text in the flowcharts? I can probably tell the customer in what format the PDF file should be saved so that I could edit it. Should I tell them to save it in “unprotected” or “editable” format? I also purchased a PDF conversion tool from Adobe for converting PDF files to MS Word. It works great for word count estimates, but I still can’t edit the text in converted flowcharts, and the converted figures are often fuzzy, etc. Well said. Under-researched by newbies. There’s often a big difference in how much you’ll get paid if you are charging by lines or words. The BDÜ rate surveys consistently show that we get paid more if charging by the line. So what do I quote in to new clients? By the line, obviously. Thank you for bringing up this well discussed, but very complicated topic. 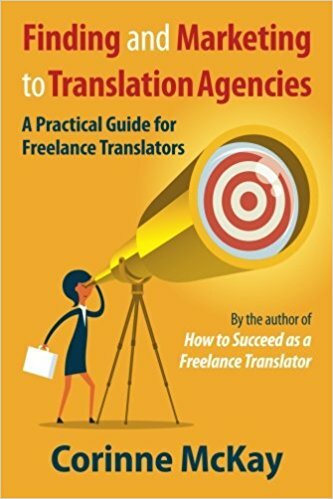 I have always wished that the translation industry would come to a consensus on the method for calculating price, at least when it comes to the differences between per word, per line and another one I have encountered – per page. Are there any rules for calculating price per page? This comes to show that there are all the more reasons to give a per project offer, but most agencies just do not work that way. Rose, I was not aware that they pay becomes better if charging by line. Interesting! Bummer that most my clients want a price per word then. I agree with Tess that the industry should come to a consensus on the method for calculating price. There are a lot of myths about expansion factors when translating from English. My target language is German, and after many years of translating from English into German (but not translating patents) I can say that the expansion factor is directly related to the amount of thought, time, and effort put into the translation. For quick, off-the-cuff translations, it tends to be quite substantial. Well thought out and formulated translations lead to target documents with hardly any expansion – except that German words are often longer than English words. I am managing translations of patent claims for the European Patent Office from English to German and to French, which means that I have been proofreading these translations several times a month for about the last 4 years. These translations are done by highly experienced, well educated (one translator has a Master’s degree and the other one is a PhD) and extremely competent native French and German translators. The word count in the German is always lower than the word count in French, by about 30%. The word count in French is slightly higher than the word count in English, by about 3 to 5%. This has been true every single time, several times a month, for the last 4 years. These claim translations are well thought out and well formulated, to use your words, not some off-the-cuff translations, to use your words again. I make sure that nothing is missing in these translations and that nothing is unnecessarily added either. The main reason for the difference in the word count is obviously the presence of numerous compound nouns in German. I think that “well thought out and well formulated translations” into German, which have about the same word count in German as in English, are translations that have been heavily modified and rewritten, most likely in order to pad the word or line count. As I said: I am not translating patents. Actually I HAVE done patent translations – Fr>Engl and vice-versa, both in text and verbally (interpreting) in Court, even in Federal Court. I’ve found that even in this field my differential percentages (see above) also apply. I believe that, after decades of reflection on the general subject of language, whoever is speaking or writing – whether it’s translation or pure creation directly out of one’s head – the most intelligent, articulate and knowledgeable people (of their native language) tend to choose brevity over wordiness. It’s an instinct, the instinct to be clear, succinct and thorough in order to communicate as well as one possibly can – and interestingly in order to avoid boring one’s interlocutor and losing his attention. Some people have it; most don’t. These qualities are especially deficient in the US where vagueness, clichés, confusion, redundancy, verbosity, mindlessness, carelessness, malapropisms, sheer lexical and grammatical – and general – ignorance are the order of the day. All this, and it’s only getting worse every day, will make the job of conscientious translators harder and harder. This is why the last time that I was asked for a quote I replied calmly: seventeen cents per target word. I don’t have a clue what the going rate is. If I turn away jobs that way, I can relax – no unpaid headaches. Being concise as well as thorough requires thinking, elegance and knowing the two languages at hand extremely well, all of which has demanded a lot of work; it should be paid for. One thing is certain : translating a well-written text is always easier. One of the first translations I did, now 25 years ago, was a blank for a French aerospace company with English-speaking subcontractors. Sentences that filled half an A4 page or more of mixed technico-legal-commercial mixup with neither head nor tail nor any recognisable body parts in between. No volume count can do justice to the brain-busting work that such a job represents. If ever you get such a document to translate, ask them to throw the Aspirin in as an extra. Source and target word counts can indeed differ radically and in the bottom line that gap means a lot to the translator’s wage. Those of you who charge by the target word count can assist in the new word count ratio tool for a better estimate – ow.ly/mqBnK. Hi again Corinne! I like the points you make here! So, do you charge to retype English at the same rate as the translation? Or do you lower price for the English text? I charge my full rate for whatever the client needs done, including retyping English. My underlying philosophy is to make everything very, very easy for the client–sit back, relax and enjoy the flight while I take care of everything–but I charge accordingly! Interesting post. Here at Keego we were asked if we count by the unique occurrence of a word. Funny times, but I think it’s our task to educate clients as well. Kudos to you for calling him out. I am also a German to English translator, and after 5 years, I have yet to see a single German document translated into English with a word count that is not significantly lower. I quite honestly don’t know how anyone could responsibly manage to get the word count to a comparable level in both languages, and it sounds ridiculously irresponsible to even try. Compound nouns, dude. Compound nouns. What about that do you not understand? So I guess you mean that German results in more English words – have I got that right? “Compound nouns, dude. Compound nouns.” A compound German word can be eight or more syllables long. Shouldn’t it be counted as several words – just to be fair?